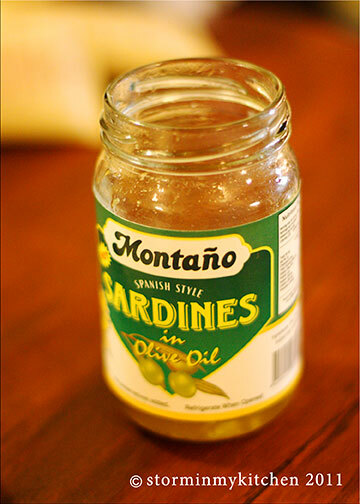 not to mention that Spanish sardines (particularly this brand) is an all-time favorite. It’s fuss-free, just throw everything into the pan, and so versatile it can be served in various ways – over rice, pasta or as a sandwich. 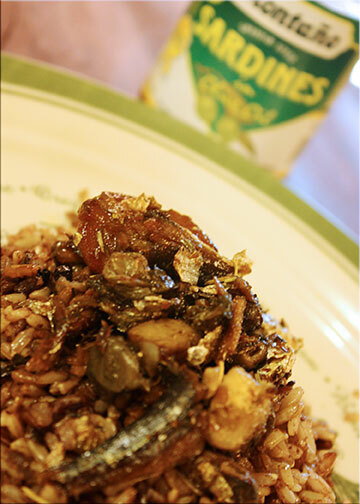 Saute the mushroom in a bit of oil from the sardines. Add capers, cook for a few minutes until capers has a bit of a crunch. 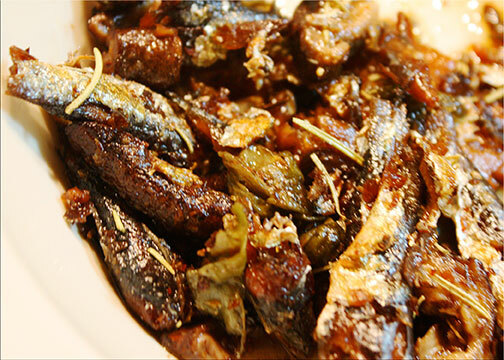 Add the sardines, include oil and everything else. Cook a few minutes more. Serve over rice or pasta. Although dried figs are available anytime of the year, there is nothing like the distinct taste and texture of fresh figs. Such a treat is rare since it does not transport well, and is hard to come by in my part of the world. Soft and sweet with many seeds, this fruit is great topped with yogurt or eaten as is. Recently on a trip to the US, I learned that it goes well with savory dishes too. When I was visiting friends last October, I managed to pack some figs in a plastic container to bring home with me. It survived and enabled me to whip up this easy recipe the friend I was bunking with made one dinnertime. This is best with pancetta but unfortunately my local deli didn’t have it at that time. I settled with some left over farmer’s ham. Bacon is a good substitute too. Cook the squash in a little oil. 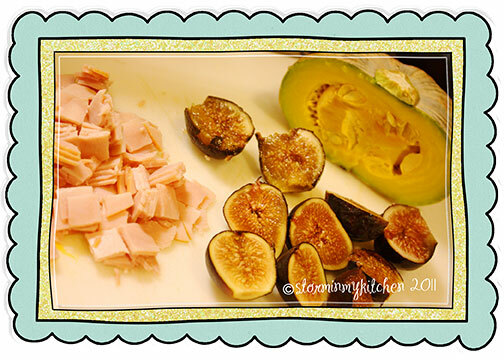 When the ham is a bit toasty or the pancetta/bacon has rendered its fat, toss in the figs and sage. 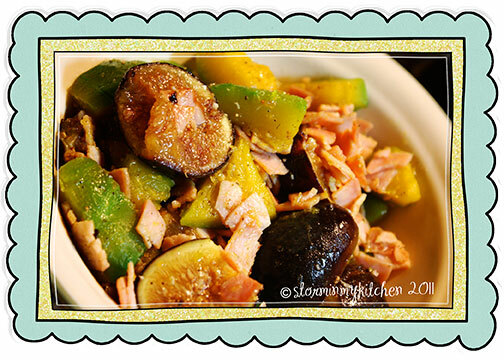 The result was sweet and savory with different textures from the figs and squash. Sage, I found out is perfect partners with squash. You are currently viewing the archives for April, 2011 at Storm In My Kitchen.